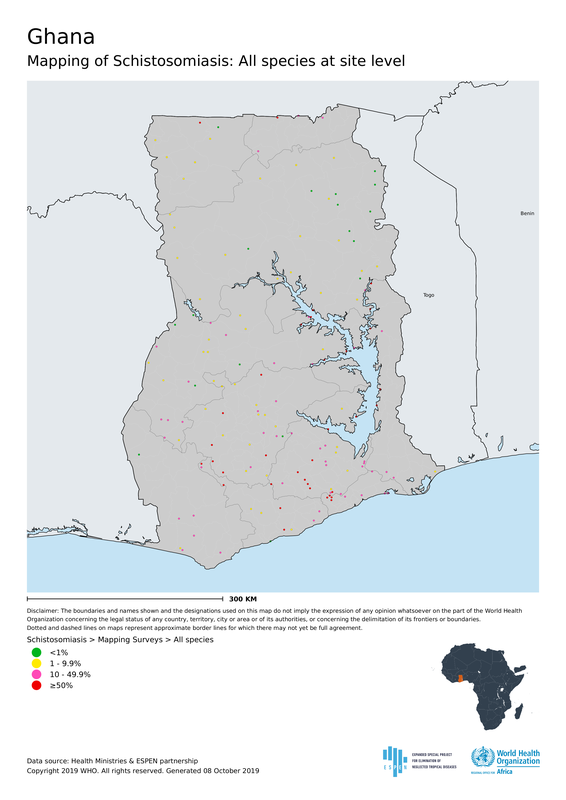 Ghana, on the south coast of West Africa, is endemic for LF, onchocerciasis, schistosomiasis and STH. The integrated Neglected Tropical Diseases Programme (NTDP), within the Ghana Health Service, has as its vision “Ghana free from ancient diseases and afflictions that have burdened humanity for centuries.” The NTDP has made strong progress towards its elimination goals, and in 2018 became the first country in the AFRO region to eliminate trachoma as a public health problem. The country has also made strong progress towards LF elimination.